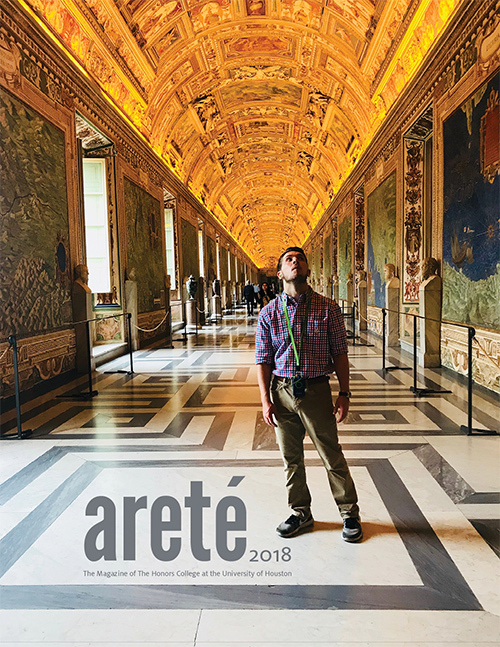 areté is the annual newsletter of the Honors College at the University of Houston, providing nationwide and campus-wide audiences with exciting news about the Honors College and our alumni, as well as our current students, faculty, and staff. 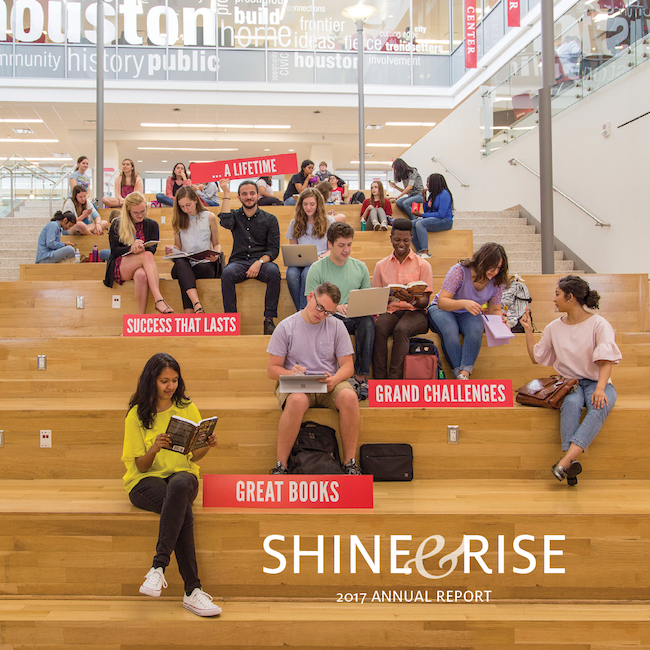 The Honors College also produces Shine & Rise, an annual report offering a snapshot of all Honors has accomplished in the past year. If you are an alumni of the Honors College and have recently moved and have not been receiving invitations and mailings from Honors, please be sure to update your information with us! Alumni notes, ideas for features stories, or other updates and questions may be emailed directly to Martha Hayes at mshayes@uh.edu.